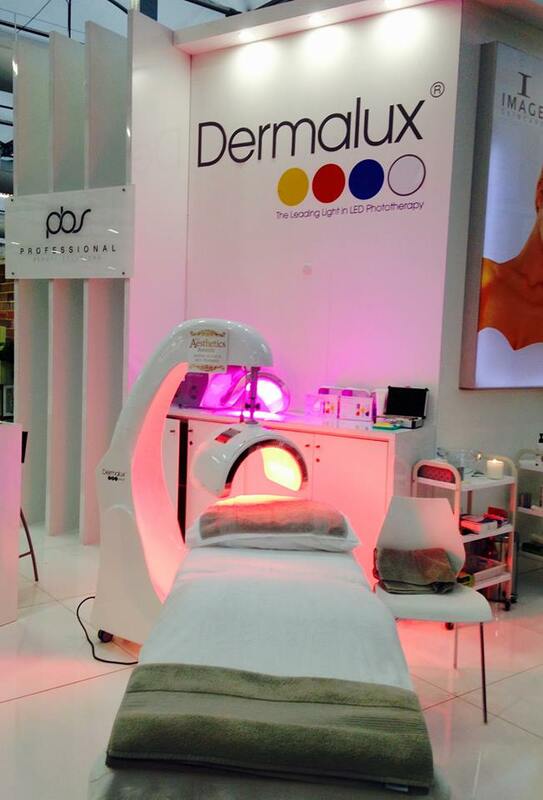 Did you get the chance to visit Dermalux LED over the Beauty Expo weekend this August? After two years, Dermalux LED returned with Professional Beauty Solutions to exhibit at Sydney Beauty Expo 2017! Heading to the International Convention Centre (ICC) in Darling Harbour, we were ready to give our existing salons and clinics a reminder to why they chose Dermalux as their LED of choice, as well as prove to potential salon owners exactly why Dermalux stands out above and leaps and bounds ahead of the rest in the LED game. 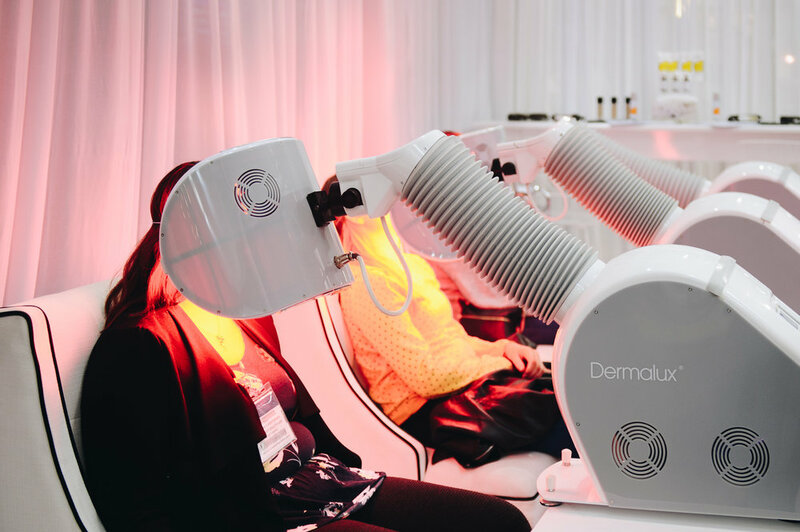 Dermalux was certainly a calling card on the expo floor, with flowing white curtains, green vines and brightly coloured LED wavelengths 'lighting' the way to the ultimate relaxation away from the hustle and bustle of the rest of expo. Visitors were invited to book in for a FREE LED facial treatment, at our patented LED Light Lounge, kicking back in a plush chair and sitting under the Dermalux's powerful lights for an instantly rejuvenating treatment. Dermalux LED owners Louise Taylor and Huw Anthony made an appearance over the weekend period, assisting in your light lounge session and imparting their knowledge on the science of wavelengths, as well as what makes Dermalux the most powerful in the business. In August 2015, Dermalux launched at Beauty Expo Australia in Sydney. 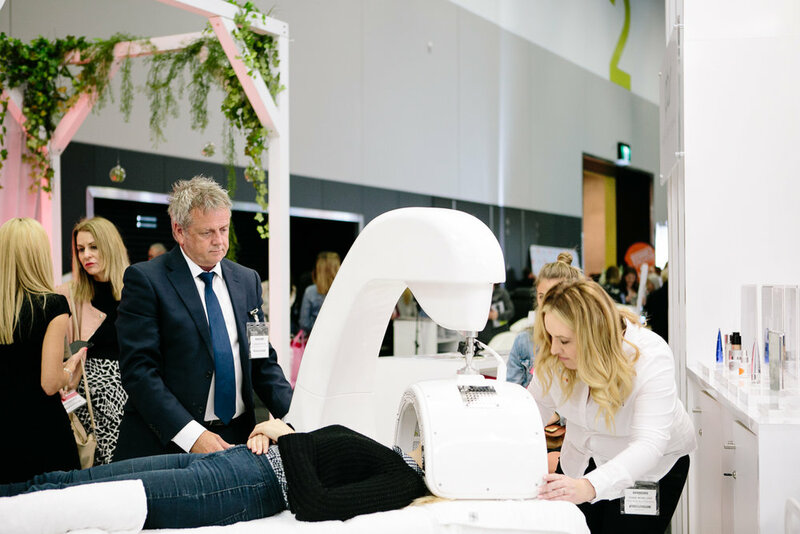 Professional Beauty Solutions showcased the Dermalux® Tri-Wave systems at Beauty Expo Australia, Sydney with an overwhelming response. Multi-award winning Dermalux® is the latest generation in LED Phototherapy combining clinically proven wavelengths of light delivered at safe, therapeutic doses to naturally stimulate skin rejuvenation and resolve problem skin conditions for the face and body. Dermalux® systems ensure 'optimised' penetration of light into the skin to energise cellular functions with excellent results for skin rejuvenation, acne and spot prone skin, pigmentation and inflammatory conditions such as rosacea, psoriasis and dermatitis. Want to experience the power of LED light in your salon?